The chikungunya virus can be traced back to an outbreak in Africa, more specifically a border area. 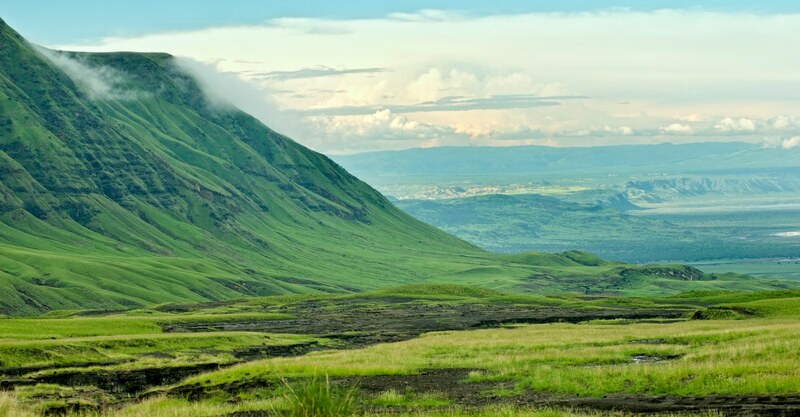 The Makonde Plateau between Mozambique and Tanzania appears to be the source of this mosquito-borne disease. That may seem like an odd way to describe a virus, but the name comes from a symptom. When infected with chikungunya, the illness can cause severe joint pain. That pain can cause a more stooped posture from the arthritic symptoms of the disease. Other symptoms include a fever, headache, muscle pain, and a rash. Symptoms don’t necessarily occur right away either. A person might not feel the problems for 3-7 days after infection. In some cases, the virus may even take almost two weeks to cause symptoms. The virus spreads from the bite of an infected mosquito, much like the Zika virus and the West Nile virus. In fact, according to the CDC, the symptoms of chikungunya are very similar to the symptoms of dengue fever and the Zika virus. And much like all those diseases, chikungunya currently does not have a vaccine. It can be difficult to properly diagnose someone living in the area where all three viruses are likely to occur. Both the Zika virus and dengue fever are diseases spread by the same mosquitoes that transmit chikungunya. The Aedes aegypti and Aedes albopictus mosquitoes spread the same deadly illnesses. Some scientists are even trying to use the similarity to create a universal mosquito vaccine. Until then, doctors are left with a guessing game for the person’s infection. The virus appears to spread in a sylvatic or jungle cycle. In this cycle, infected mosquitoes bite and spread the virus to monkeys and similar primates. Uninfected mosquitoes then bite the primates, attaining the virus. They are then free to spread chikungunya to humans. With this in mind, it is easy to see how the virus could originate in Africa but slowly spread across the country and then to other nearby countries. Since its first discovery in 1952, the chikungunya virus has been identified in over 60 countries across the world. Known human infections in Africa have been at relatively low levels for many years, except for one short period. From 1999 through 2000 there was a large virus outbreak in the Democratic Republic of the Congo. Since then, there have been outbreaks with abnormal time breaks in-between them. While most people associate mosquito bite related diseases with African countries, the chikungunya virus has touched base on many countries globally. Since 2005, India, Indonesia, Maldives, Myanmar and Thailand have reported over 1.9 million cases. In 2007 there was transmission of the virus reported for the first time in Europe, in a localized outbreak in north-eastern Italy. Recently, cases have linked chikungunya to the Americas. An outbreak in 2015 showed infections capable of spreading in North and South America. There have been documented surges of the disease worldwide with irregular intervals between the outbreaks. When did Chikungunya First Emerge in Brazil? Originally thought to have just stemmed from the area of the Makonde Plateau, a recent study could show the roots of this disease from Brazil. Between March 2016 and June 2017, blood samples were collected at the Institute Nacional de Infectologia in Rio de Janeiro. Scientists then analyzed the samples using a genetic test. As we noted before, chikungunya can appear the same as other viruses. Keeping this in mind, samples tested positive for chikungunya and negative for those comparable like Zika and dengue. The researchers discovered a strong relationship between the date the samples were taken and the genetic separation. With this information, they could identify a “molecular clock” for the samples. The researchers could then pinpoint a better date for the discovery of the chikungunya virus in Brazil. How Could This Discovery Help us Fight Chikungunya? It’s important to continue the focus on locating the true origin of the chikungunya virus. Every bit of information can help scientists study the virus and could bring new breakthroughs in research. Knowing more about the actual origin of a disease does more than gives us historical context. We can better understand how the disease spreads across the globe and help us create vaccines, treatment plans, and more. Currently there is no vaccine to prevent chikungunya infection. We also lack medicine to treat those infected with the chikungunya virus. Travelers making plans to areas where the chikungunya virus is known to be should take precautions to protect themselves against mosquito bites. Chikungunya appears to only be causing more danger in the future. The virus continues to cause random outbreaks and spread slowly to various new countries. Perhaps researchers will now be able to focus and encourage the development of preventative medicine, better diagnostic techniques, and new treatment options. Do you need help preventing any mosquito borne diseases for an upcoming trip? Passport Health can help! Give us a call at or book an appointment online. Did you know scientists could trace chikungunya to both Brazil and Africa? How about the virus’ reach to North America and parts of Europe? Let us know in the comments, or via Facebook and Twitter.